Paroled gang member Leo Jerome Johnson has been charged with shooting to death 33-year-old Nicky Packard and 22-year-old Michael Sewell Jr. Special circumstances are also alleged in the DA’s case, making Johnson eligible for the death penalty. LANCASTER – A paroled gang member previously profiled on our “Most Wanted AV Parolees” list has been charged with murdering two men after a Lancaster house party in June. Leo Jerome Johnson is charged with two counts of murder with a special circumstance allegation of multiple murders, making the 28-year-old eligible for the death penalty, authorities said. 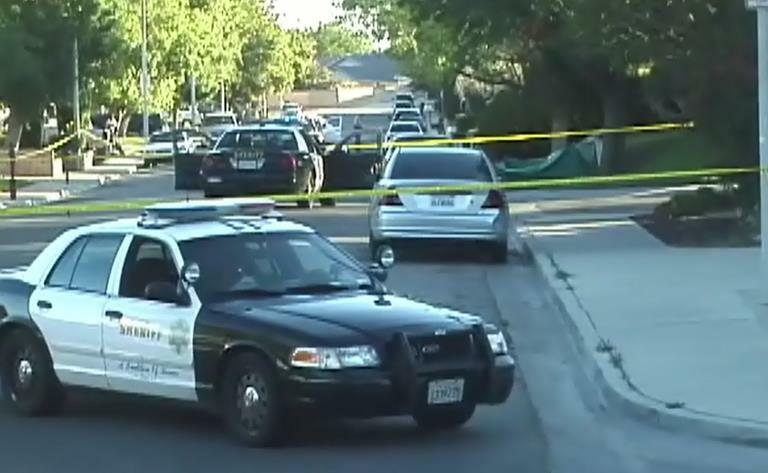 The complaint also includes allegations that the offenses were committed for the benefit of a criminal street gang and that Johnson personally and intentionally discharged a firearm, according to Shiara Dávila-Morales of the Los Angeles District Attorney’s Office. Johnson was captured in New Mexico last month and is currently in county jail without bail. 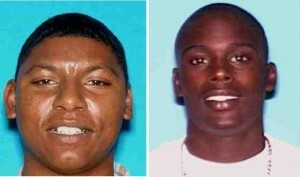 The charges stem from the shooting deaths of 33-year-old Nicky Packard and 22-year-old Michael Sewell Jr. Both were killed during the early morning hours of Sunday, June 23, after a house party in the 44800 Block of Hanstead Avenue in Lancaster. During the party, an argument broke out between the suspect and the two victims, and then the suspect was seen leaving the party, homicide detectives said. Sewell and Packard left the party in a group and were congregating in front of a house down the street when the suspect returned around 4:30 a.m., homicide detectives said. Nicky Packard, 33, and Michael Sewell Jr., 22. The suspect produced a handgun and shot Packard three times and then shot Sewell once in the chest, homicide detectives said. Both victims died at the scene. In the days following the shooting, homicide detectives sought the public’s help in finding the killer. 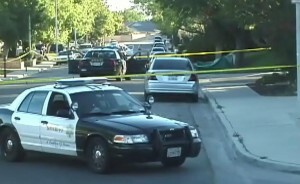 In August, the Los Angeles County Board of Supervisors unanimously approved a $10,000 reward for help in solving the double murder. As homicide detectives were building the double-murder case against Johnson, they caught a break in October when the at-large parolee was spotted in New Mexico. Inmate records show Johnson was booked into county jail on October 17. Johnson appeared in an Antelope Valley courtroom on Monday (Nov. 4) and was sentenced to 16 months in state prison for violating his parole, according to the Los Angeles District Attorney’s Office. He is expected to be arraigned on the new charges this week. Homicide investigators have identified two tipsters who may qualify for the county’s $10,000 reward for giving information deemed instrumental to the case. The names have been forwarded to Supervisor Michael Antonovich’s office for review, Hernandez said. Johnson remains jailed without bail. UPDATED 12/4/13: Leo Johnson appeared in an Antelope Valley courtroom today for a scheduled arraignment, but that arraignment was postponed to Dec. 11, according to the Los Angeles District Attorney’s office. 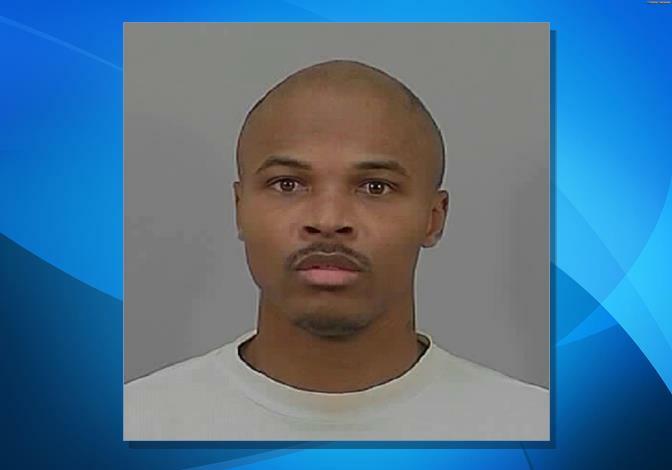 UPDATED 12/11/13: Leo Johnson was scheduled to be arraigned today in an Antelope Valley courtroom, but the arraignment has been delayed again, this time until Jan. 30, 2014. We will continue to follow this story. 25 comments for "Updated: Parolee charged in Lancaster house party double murder"
Oh wow. Your argument fails to prove any point and your spelling is just horrendous. Maybe your cousins parents should’ve raised him right because he was there too. You make no sense and trying to read your post gave me a headache. Good luck to you. You are a damn fool…. We all know he did it, now he’s going to pay for it. He’s lucky he made it to jail. Young man he has had anger management issues all through childhood without help ever sought for him. Even going to a Probation High School he could not be controlled. I surprised that he had not been convicted of this sorta of crime earlier on in life because it wasnt a question of if. But a question of when he would pull the trigger. Unfortuantly living thfe life he had growing up. No real positive male roll models to guide him he followed the males he looked up too. And never knew anything different. Now its too late to rehabilitate. Good police work considering everyone at the party knew the murderer BUT DIDNT CARE UNTIL THEY WERE PAID. Good thing they caught this POS I hope he rots in a 10 x 10 box in prison..I blame California for releasing him in the first place..armed roberry really! this POS should have never been let out in the first place..you are to blame for these deaths California! Reworded original …will see if this comment gets through and posts! No more breaks, stop with all the appeals…Tried for murder, if found guilty and sentenced to death. Then do it!! This goes for ALL death sentences. I still believe…1 appeal and then that’s that. Enforce the laws!! Hope the Packard, Sewell families get some justice and closure. So sorry for your loss, my heart and prayers go out to the families and friends. Unfortunately liberal democRATS of california don’t believe in what you believe.. They don’t believe in the enforcing of existing laws, but they like to create their own, new, “progressive” laws – legal marihuana, gay marriage, and taking away the rights from citizens, nothing else is going on in demcRATic California. I feel sorry for you, people, because I am moving to Texas! No more breaks, stop with all the applies…Tried for murder, if found guilty and sentenced to death. Then do it!! This goes for ALL death sentences. I still believe…1 appeal and then put him on the table and that’s that. Enforce the laws!! Don’t see that happening in any of our lifetimes. justsaying!! Hope the Packard, Sewell families get some justice and closure. So sorry for your loss, prayers are with both families and friends. Special circumstances, making him eligible for the death penalty, don’t waste hard working people tax dollars on this criminal, he had no regards for life and why should there be any for his, to gun down two innocent young men just starting to live life RIP Nicky and Michael God is good, I pray for the families. Knowing how our LIBERAL justice system is,,, he’ll be out in ten-no joke! I’m so glad this disgrace was caught. I pray that this helps the families bring some sort of closure. I knew Nicky from High School and he was such a sweet guy. He was always smiling and joking around and was someone who stood out in life. I’m so sad that he was taken away so soon but glad that his killer will now be held responsible. I sincerely hope and pray Nicky’s family can be granted some peace and comfort knowing that justice will be served. I am glad that he is off the streets. Finally this moron was captured.. Justice will be served! Thank God they got him!!! Nicky was my lil cousin. Don’t have much Faith in the legal system, but I have Faith in my God that justice will be done.